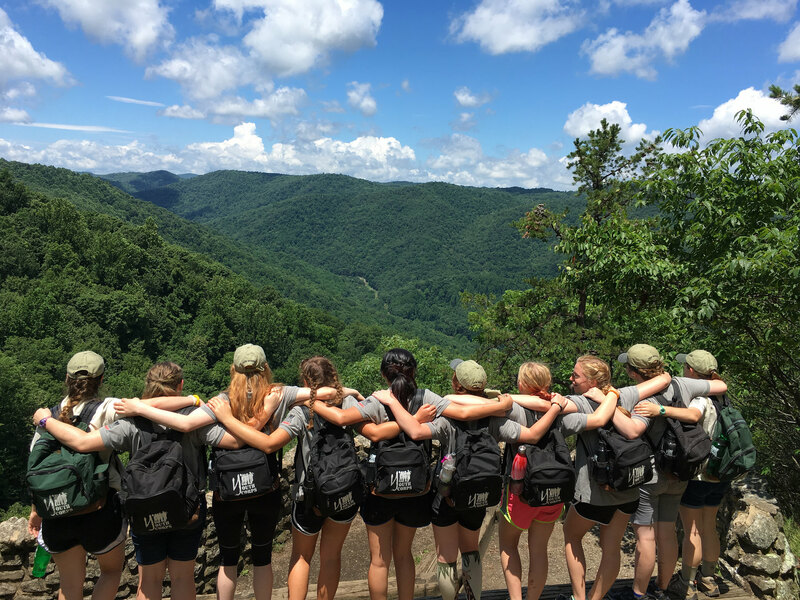 In it's 17th year, the Virginia State Parks Youth Conservation Corps has been committed to providing quality summer work experiences for youth ages 14-17. The youth live and work in a park for 3 weeks in the summer, perform needed park maintenance projects like trail work and park beautification projects, enjoy outdoor recreation experiences, ant take part in environmental and cultural programming in the parks and the surrounding communities. It is often an unforgettable experience where the youth make lasting friendships, learn the benefit of working in teams to accomplish projects, and also learn some self-sufficiency since they cook their own meals and maintain their living quarters. From the parks perspective, projects that would not get done in the normal course of business are accomplished and the youth learn what it takes to manage and protect our public lands. Some have decided on a career in natural resources as a result of this program, others take away a new appreciation of what it takes to manage and protect our public lands. Because of the value of this program, our state parks have worked year after year to search for sufficient funds to keep it going. Now there is a chance to get dedicated funding for the program that would also expand it to cover all of the parks each summer (with some crews serving in two parks to cover those without housing). Each year many applicants are turned away from the program because of funding limitations. Within the current General Assembly's budget amendments there are a number supporting increased funding and staffing for state parks. Senator Hanger has introduced an amendment specifically for support of the YCC program. The VAFP is supporting Senator Hanger's amendment and we believe that a grass roots effort from youth and families of youth that have participated in the program over the years would be very effective in garnering support in the Senate and House of Delegates. Please call or write your legislator or engage them on social media. If you aren't sure who your state delegate and senator are, you can find that out here. The budget amendment is item 363 #10s. See a list of the Senate Budget Amendments here. While we did not have a patron introduce an amendment in the House of Delegates passage in the Senate would send it for consideration in conference. The request is for $612,537 annually that includes program support and a full time position. Please take the time to reach out your legislators today. This is a great time to become a member of the Virginia Association for Parks. The VAFP offers a free associate membership, but you can also join as a paid member for only $10 through a paper application or using PayPal here.